I used to wake up at five in the morning, braved the running, cold water from the shower and occasionally fought indolence. There was no time for breakfast because I have to leave the house at around quarter to six to catch up the early ride to my work station. A carton of milk and a bite of biscuit was already enough, or so I thought. And as always, the 6AM traffic jam is always unbearable most especially on weekdays. It seemed like people magically come out of nowhere and instantly fill the jeeps, taxis, and buses. And by the time I finish my work, I'd go home and experience the same stress ALL OVER AGAIN. That's how I'd like to describe my life in Metro Manila and I didn't expect that I'd survive that way of life for almost two years! Metro Manila, or the National Capital Region (NCR), is the center of trade, commerce, education, and politics of the Philippines. It is the home of 13 million Filipinos, cramped in a limited 638.55 sq. km. of space. And since it's the center of almost everything, people living outside the big metro have this notion that opportunities are readily available here. Well, that's not the case. I remember back in grade school, I had classmates who had shared their travel experiences in Manila. They told us that it was the Mecca for shopaholics (back then, there were only a few foreign shops in Davao). Some were also proud about their parents' work in Manila; that their salaries were higher compared to those who worked in Davao. I never got jealous with their claims, to be honest. Seeing the horrendous traffic situation in EDSA, Taft Avenue, and other major thoroughfares on TV Patrol was already enough and made me think the otherwise. Living and working in Metro Manila was never part of my plan. It was until an opportunity came last summer of 2012. I have always dreamed of becoming an Air Traffic Controller. But part of reaching that ultimate career goal was to attend a comprehensive training in Pasay City, Metro Manila for at least a year. I told myself that it's just a short span of time. And I was partly wrong about the duration. I was never accustomed to the air pollution, the gridlock traffic situation, the mandurugas taxi drivers (well, not all), the intense summer heat, and the infamous flood. In a span of a year and a half living and working in Manila, I got sick thrice, in which the latest was a bit serious. I had an on-and-off fever for three days straight. On the third day, I can't barely walk and talk. Paranoia set in when my classmate got admitted to the hospital due to dengue. I didn't know what to do, but thank God I had board mates who were Nursing graduates. They took care of me and were my saviors that time. Fortunately, it was just a viral infection. Manila has taken its toll on me. Despite the presence of numerous boutiques, shops, restaurants, and recreational areas, I never liked being there. I have tried so hard to embrace its nature, but I guess the feeling wasn't mutual at all. 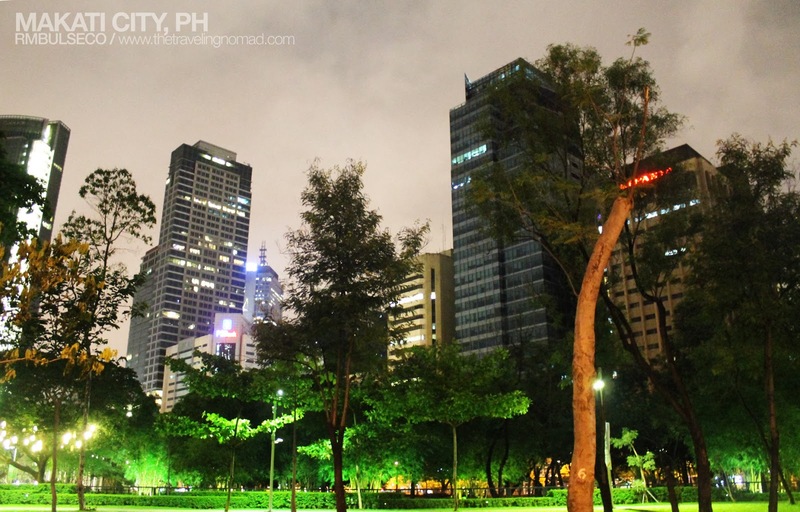 Metro Manila is an ever dynamic metropolis, teeming with people who never sleep. It seemed like everyone was always on the go, regardless of time and place. True enough, it takes time, a huge amount of resources, and truckloads of effort to get used to Metro Manila's ultra-fast lifestyle. Some have adapted to it in a span of a week or two (and I commend you for that), while others, well, they never get used to it. Cheers to those people who chose to reside and work in the big city. My living and working experience in Metro Manila wasn't really THAT bad, if you think about it. I have discovered some new places to hang out, to eat, and to shop. But living together with stress, traffic, and pollution wasn't part of the deal. Nonetheless, it had pushed me to the limits and I have finally known myself better. Manila had somehow helped me through my self-discovery stage. I have finally learned the art of patience and frugality. Money really matters when you live here. I have also assimilated the value of what I've earned and learned from my work. Living and working in the capital city was a blessing in disguise, after all. Manila, thank you for making me a better person despite and in spite of everything. I know that in the near future, I'd still wake up at around five in the morning, brave the running, cold water from the shower, and occasionally fight indolence. But one thing's for sure, I'd breathe fresh air and eat a hearty breakfast. I'm also a proud probinsyana. I've been in Manila for 8 years already still I can't seem to get used to the pollution. Wow, kudos to you for enduring thaaaaat long! 8 years is really long! Natutuwa ako sa post mo Renz, brought back a lot of memories when I started living here. almost 7 years na rin pala. hahaha! masasanay ka rin. Pero yeah, mas masarap pa rin lumanghap ng sariwang hangin at lutong bahay na puno ng pagmamahal ni nanay at tatay. Kakaiyak yung comment ni Darwin, galing sa puso. Hahahahaha! For me, it's the other way around. I found the opportunity to work in the "province". I am a Manilena. When the plan of studying college in Manila or Baguio didn't push through, I became determined to find a job in Manila for my first work experience. I have no complaints in terms of work or my workmates. Commuting everyday from San Juan to Makati just drove me crazy lol. Buti na lang sa second job sa Quezon City and opposite sa traffic jam pag papasok at uuwi. Thinking about it, nasa Manila ka nga ng almost two years pero mas madalang tayong nagkikita :)) san ka na ba ngayon? Good luck in everything you do Renz, Hope to see you very soon. Chino: Miss ko na ang kakulitan mo! HAHA! See you soon, hopefully on the road! Elal: HAHAHA! Proud probinsyano here!